Onions are one of the most widely eaten vegetables enjoyed worldwide, an essential element in all cuisines. It is not just used to add flavour, but sometimes also as an actual dish. In terms of cultivation, this vegetable does not mind cold weather, although it likes sunny areas and is particularly fragile when there are wide temperature ranges. For sowing, replanting and ripening, onions require special care in terms of the distance between each plant and depth, as well as adequately prepared soil. In this regard, thriving plants can be obtained only by using suitable machines, without incurring in damage that might be permanent. 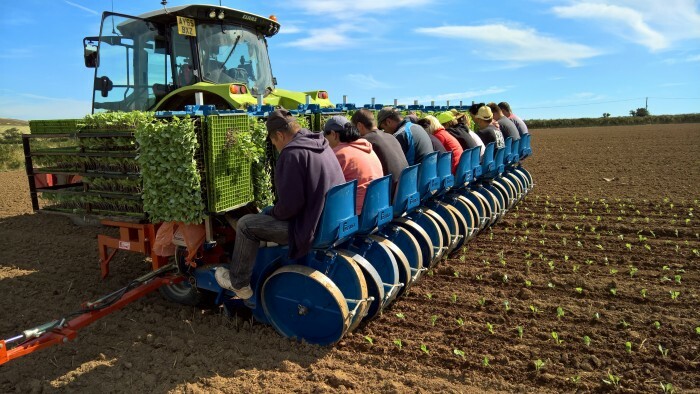 The onion transplanters designed by Ferrari Costruzioni Meccaniche have been created precisely with the intent of maximising efficiency when replanting onions. These vegetables are defined as bulb vegetables. It is difficult to establish a period when to plant them, as there are different varieties with different schedules and needs. However, in general they are replanted when the plant reaches a height between 10 cm (4”) and 20 cm (8”), which usually happens 3 months after sowing, when the first leaves appear. During the replanting stage, it is essential to pay special attention to the distance between the plants and their depth. As for the former aspect, one can see the importance of replanting the plants at about 8 cm (3”) from each other. Moreover, between each row there should be at least 15 cm (6”) to ensure the roots can grow freely. As for depth, it is always best to maintain a depth not exceeding 5 cm (2”). However, these measurements may differ depending on the varieties and types of soil where they are cultivated. 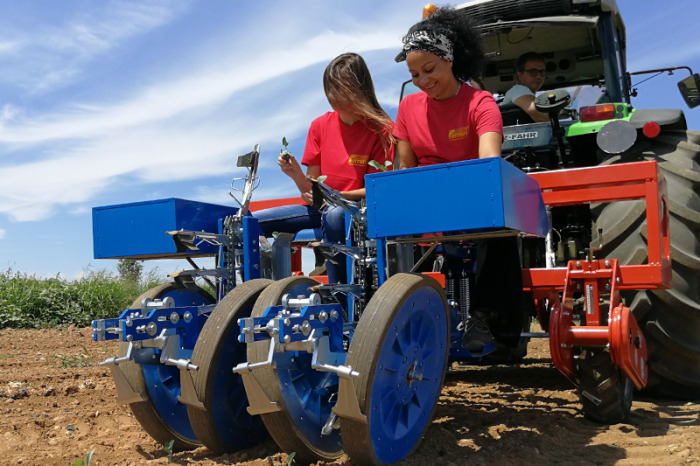 The onion transplanters designed by Ferrari Costruzioni Meccaniche are specifically designed to guarantee maximum precision during replanting, creating regular distances and guaranteeing an even working depth, with the aim of allowing the plant to grow faster and thrive. 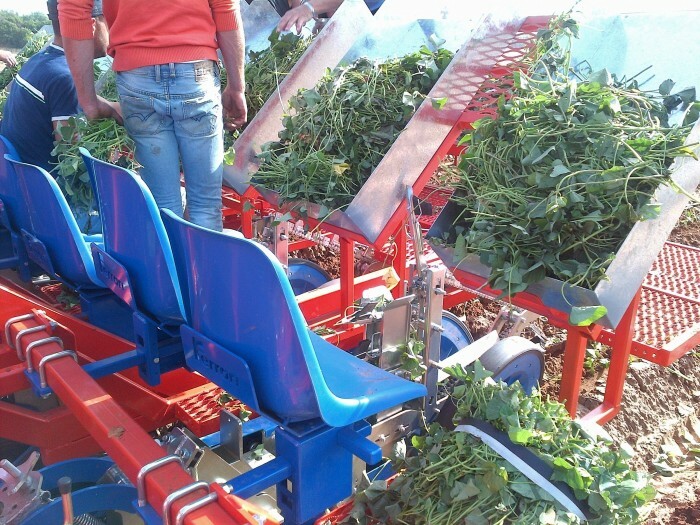 The onion transplanters by Ferrari Costruzioni Meccaniche are available both in the automatic and semi-automatic version to meet the requirements of all operators. 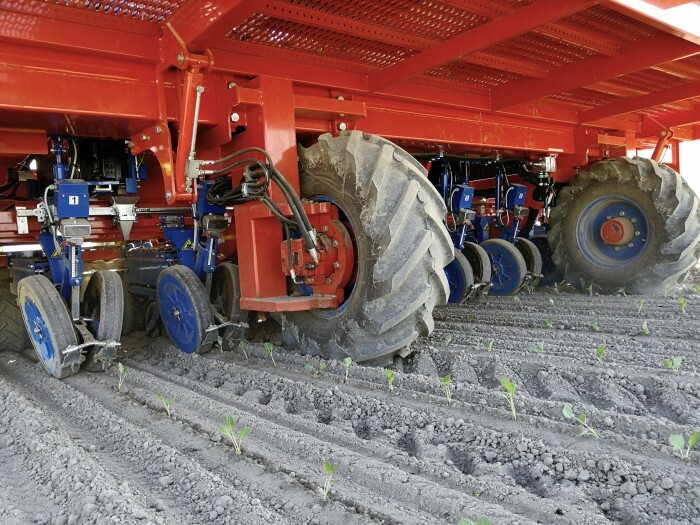 The former include the FUTURA and FUTURA TWIN models, both designed to transplant plants in pockets located in seed trays. In these cases, the machines automatically extract the pockets through the ejectors. 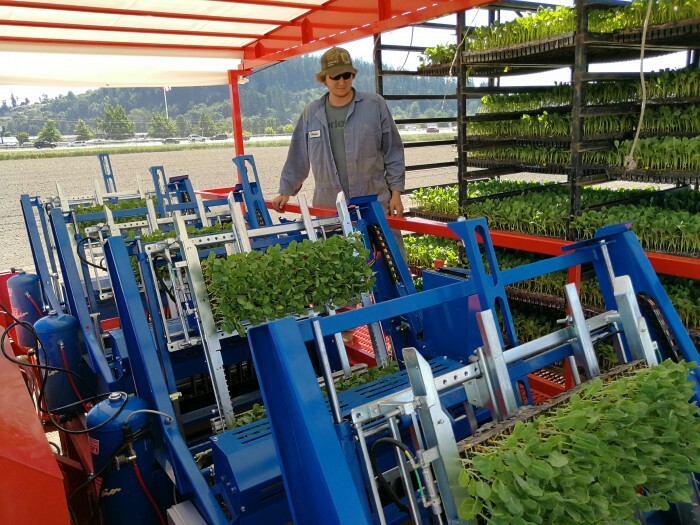 Mobile grippers then take the plants and autonomously plant them in the ground. The operator only needs to feed the panels in the loading guides. 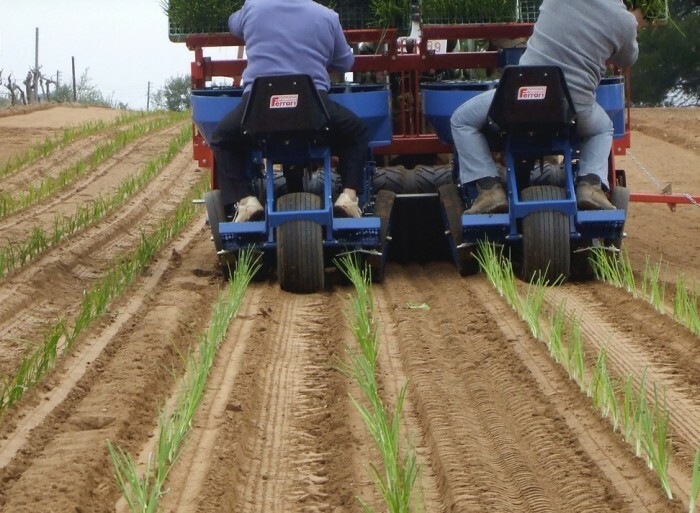 Ferrari semi-automatic onion transplanters include the FMAX, MULTIPLA, FX and FPP EVO models and are the perfect combination of manual work, automated equipment and innovation.